Last Saturday, I delivered the welcoming remarks and cut the ribbon to open the national “Clear the Shelter” event at the Orange County Animal Shelter. This event is sponsored by NBC and Telemundo, and offers significantly discounted adoptions for $17 in order to help shelter animals find loving, forever homes. By the time I arrived at 9:45 a.m., the line of hopeful pet owners had wrapped around the building. I was told that dozens had been in line since 6 a.m., as all adoptions were on a first come, first serve basis. The gates opened to loud cheers from the crowd, and the team of shelter staff greeted the families with smiles and adoption forms. I am so thrilled to have been a part of this heart-warming event. 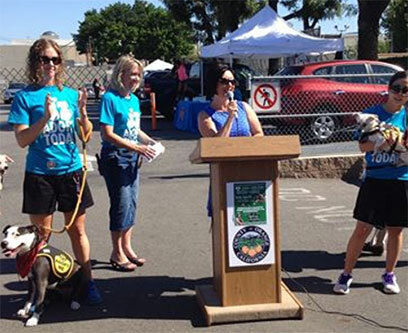 OC Animal Care set an initial goal of initial goal of 100 adoptions for this event. They far exceeded their goal with 147 adoptions. Not only have the lives of 147 animals been changed for the better, but the individuals and families who brought them home will enjoy the benefits of animal companionship for years to come. Pet ownership has been demonstrated to improve physical, mental, and emotional health. As a cat owner myself, I can personally attest to this! I have so much gratitude for everyone who participated in this event, from OC Animal Care staff, to NBC and Telemundo, and of course, to the all families who helped make this event an overwhelming success. 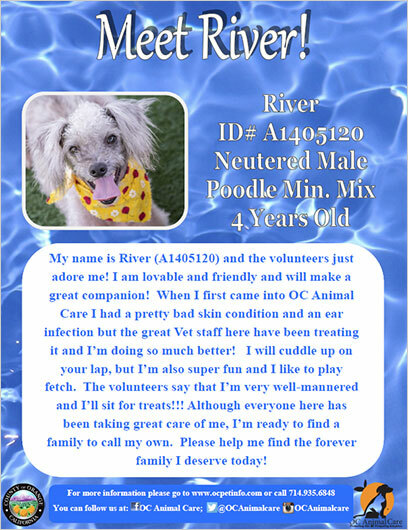 For more information on this story, see the follow up article in Saturdays’ OC Register: http://www.ocregister.com/articles/animal-677862-shelters-county.html. A National Weather Service meteorologist will discuss the potential impact of the predicted strong El Niño on California’s epic drought – and what heavy rains might mean to customers in the Santa Margarita Water District – during a free presentation on August 26. Even as California is under conservation rules because of the four-year drought, predictions continue to grow for an El Niño, perhaps the strongest since 1997-98. SMWD customers may recall a series of storms killed 17 people in California and caused an estimated $550 million in damage in February 1998. But even a strong El Niño storm season wouldn’t put an end to the drought. Australia suffered through years of drought, had a season of rain, and then returned to more years of drought. Additionally, Southern California’s water supply relies on a hearty snowpack in the Sierras, and El Niños typically are too warm to bring snow. National Weather Service Warning Coordination Meteorologist Alex Tardy will discuss the potential for El Niño and its effects on the drought during the August 26 presentation. Tardy has worked for the NWS since 1993 and is based in San Diego. He supervises a variety of outreach efforts for the service, and trains a network of weather spotters. Tardy has worked at several locations across the country including Vermont, Virginia, Texas, and Utah in a variety of positions including senior weather forecasting duties and science operations officer. He received a bachelor of science in atmospheric science from the State University of New York in Albany and has worked for the National Weather Service for 22 years. Because of California’s historic drought, SMWD has asked customers to reduce their water use by 24 percent compared to 2013 use. Customers have responded by meeting that goal, which remains in place through February 2016. The District asks that customers cut their outdoor water use by half. For more information on how to be more water efficient, see www.smwd.com/conservation. In honor of the 60th Diamond Anniversary Celebration, Disneyland Resort is proud to launch the Disneyland Resort Dreamers & Doers program. Deeply rooted in Disney’s commitment to supporting youth and the community, Disneyland Resort Dreamers & Doers celebrates the power of possibility and the youth who take action to improve their community, home or school. Conserve Nature: Connect children and families with nature to build lifelong conservation values. Live Healthier: Make healthier living fun and accessible. Think Creatively: Nurture creative thinking skills to inspire children and families to create the future they imagine. Strengthening Community: Bring hope, happiness, and comfort to children and families. Each Orange County high school will select their “Dreamer & Doer” who will have the opportunity to win prizes, including money for their school. Student applications can be downloaded from the website September 8, 2015- November 20, 2015. 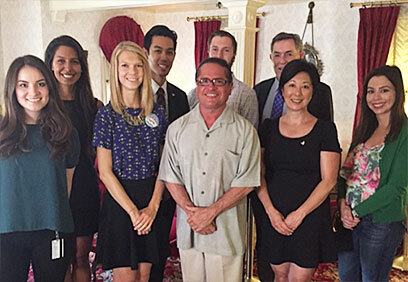 For more information contact Disneyland Resort Corporate Citizenship at: DLR.Corporate.Citizenship@disney.com. The Orange County Transportation Authority board recently allocated nearly $3 million to improve water quality in Orange County. The funds come from Measure M, a half-cent sales tax approved by Orange County voters in 2006 for transportation improvements. The ballot measure includes funding for an environmental cleanup program that awards money on a competitive basis to cities and the county for projects that reduce the impacts of water pollution related to transportation. Protecting the county’s natural resources, while at the same time improving the transportation network, is a key promise made to voters in Measure M.
After reviewing 26 applications from 20 cities and the County of Orange, the OCTA board approved to make $2.9 million available for 18 projects focused on removing visible pollutants, such as litter and debris, from roads before they reach waterways. These projects include purchasing or upgrading screens, filters and inserts for catch basins, as well as other devices designed to remove pollutants. The following cities, along with the County of Orange, received funding: Fullerton, La Habra, Orange, Westminster, Mission Viejo, Tustin, Buena Park, Lake Forest, Fountain Valley, Placentia, Rancho Santa Margarita, Irvine, Cypress, Garden Grove, Anaheim, Brea and Laguna Hills. The OCTA board has approved funding for 102 projects since the inception of this program in 2011, totaling just more than $11 million. An estimated half million cubic feet of trash has since been captured as a result of the installation of these devices. For more information of the Measure M water quality program, visit octa.net/water. The full list of projects is attached. On August 15, 2015, roughly 40 of Orange County’s most at-risk youth attended the Orange County Teen Collaborative’s T.H.R.I.V.E. (Teen Hope! Real Influence! Value Experience!) kick-off. Through planning efforts of the Tharasri Foundation and Gravity Youth, the event brought together foster youth enrolled in the Orange County Social Services Agency’s Teen Court Program. The goal of the event was to encourage connections and a sense of belonging, as well as to spark encouragement among youth struggling with significant mental health issues and dangerous behaviors at the Sanctuary Church in Costa Mesa. Presiding Judge of the Orange County Juvenile Court, Maria D. Hernandez, welcomed the youth and offered inspirational words on the importance of engaging foster teens in positive interests and thereby reducing their engagement in unsafe activities and involvement in the Juvenile Justice system. In addition, Jacoby Shaddix, two-time Grammy nominated artist Papa Roach, highlighted the evening by sharing his inspirational story of overcoming his personal struggle with addiction and depression to the youth. The Teen Collaborative, an auxiliary branch of the Teen Court Program, is a community-based collaborative of non-profit and faith-based organizations, designed to provide positive and uplifting programs and resources for at-risk youth in Orange County. The Teen Collaborative benefits from partners such as the Tharasri Foundation, the Orange County Alliance, Orangewood Children’s Foundation, Community Service Programs (CSP), Gravity Youth, The Pacific Youth Correctional Ministries, the Child Abuse Prevention Center, Boys Town, and the Teen Leadership Foundation, among numerous other influential youth involved organizations. The Teen Collaborative, in conjunction with the Teen Court Program, has demonstrated a significant ability to affect change in the lives of vulnerable foster teens and continues to grow and gain community partners in its efforts toward engaging high-risk foster youth with the goal of ultimately becoming a self-sustaining community sponsored resource pool for the youth. Future events will focus on providing diverse opportunities for the Teen Court foster youth, including participation in martial arts, surfing, and culinary arts as well as educational and motivational speaking venues on topics relevant to many of the difficult issues they face. For more information, visit OCTeen.org. The cities of Aliso Viejo and Laguna Niguel are teaming up for the American Cancer Society’s Relay for Life at Niguel Hills Middle School on August 22. Teams in the 24-hour relay include the Aliso Viejo Country Club, Laguna Niguel Family YMCA, Dana Hills High School PTSA, Laguna Hills Chamber of Commerce and Emerging Professionals of Laguna Niguel. For more information click here. The fire and sheriff’s departments and Coast Guard, among other agencies, are coming to Dana Point on August 22 for the annual Emergency Preparedness Expo. The expo, in its eight year, allows residents to interact with various organizations involved in emergency response. It will be held at Dana Hills High School, 333101 Golden Lantern. For more information click here. The Laguna Niguel Community Theatre is gearing up for its inaugural production, “Fiddler on the Roof”, which will be performed at Crown Valley Community Park amphitheater at 6 p.m. Saturday and 2 p.m. and 6 p.m. Sunday. For more information click here. Cuca’s Mexican Food 26676 Portola Parkway, is hosting a fundraiser from 8 a.m. to 9 p.m. Saturday to help support cancer treatment for resident Jennifer Haynes. Cuca’s will donate 25% of the gross food charges to the Haynes family. To print the flier needed click here. This first-ever show at Mission San Juan Capistrano on August 22 will feature Cash’d Out: The Next Best Thing to Johnny Cash including June Carter Duets with opening act, True Willie: America’s Most Authentic Willie Nelson Tribute. The concert series is a fundraising event in support of preservation and sustainability of Mission San Juan Capistrano. Gates open at 5:30 p.m. and the concert starts at 6:30 p.m. for more information click here. Only two weeks left! Visit one of the nation’s oldest and most highly acclaimed juried fine art shows. Don’t forget to get tickets to Pageant of the Masters before it’s over. For more information click here. 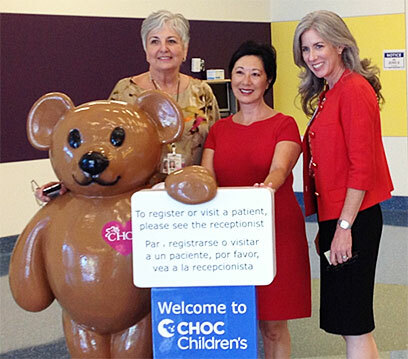 Toured Children’s Hospital Orange County. Participated in the OC Animal Care Clear the Shelter event. Participated in the National Association of Corporate Directors training. Met with Disneyland Government Relations and toured the Emergency Operations Center. Participated in the Transportation Corridor Agencies Joint Strategic Planning Ad Hoc and Joint Legal Services Ad Hoc Committees. Attended the OC Women Electeds reception. Toured the Brain Treatment Center. Attended the OC Forum luncheon. 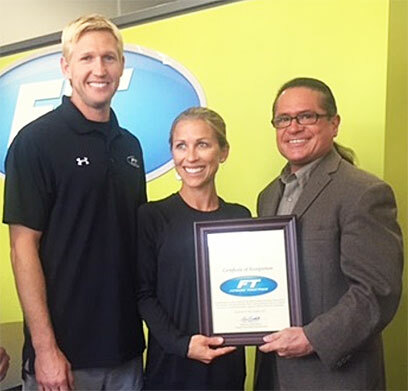 Presented a certificate at the Fitness Together ribbon cutting in Dana Point. Presented a certificate at Edward Jones in Ladera Ranch. 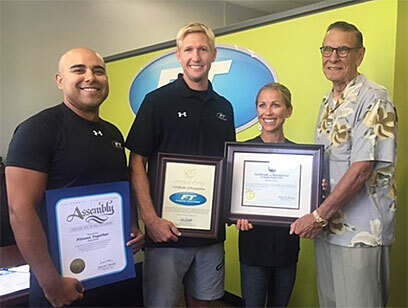 Dana Point Mayor Carlos Olvera at the Fitness Together ribbon cutting. For questions or comments regarding Supervisor Bartlett’s E-Newsletter please contact the Supervisor's office staff at: (714) 834-3550 or Kelley.Jimenez@ocgov.com. You are currently signed up to the 5th District newsletter. To unsubscribe, click here.